Who is This Masked Man? Who is Isildur1? Blog > High Stakes Poker > Who is This Masked Man? Who is Isildur1? Who is this masked man? That very question was one of the more famous lines from a popular show of the 1970’s called Zorro whose identity was kept secret by a mask which shielded his eyes. Whereas Zorro was a fictional character, a virtual unknown is making very real dents in the bankrolls of the high stakes poker community over at Full Tilt Poker. He goes by the screen name Isildur1 and other than being a high stakes cash game player from possibly Sweden, no one seems to know anything about him, not even who he actually is. What is known about him is that he is fearless and seemingly has very deep virtual pockets. Before November of this year, no one had ever seen him play before, not on Full Tilt nor any other online poker site, but there he is, playing against the world’s best players in the online world’s largest games, competing in the largest pots ever seen anywhere. Surely, someone must know who he is, after all, a regular average Joe can’t exactly log in one day and deposit the millions of dollars needed to play $500/$1000 No limit Hold’em or Pot Limit Omaha. Surely, someone, or perhaps, several people transferred enough money into his account to be able to withstand some of the mind-blowing swings he has had over the past three weeks. 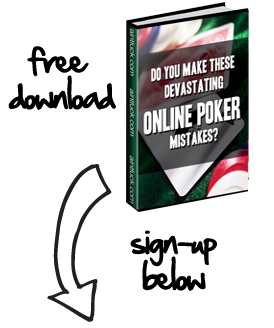 While no one who actually knows the true identity of this screen name, the one thing that is known is that he/she/they have brought some kind of action no one has ever seen before and is the daily subject of columns throughout the poker world. In just 3 weeks, Isildur1 has been involved in 9 of the 10 largest pots in the history of online poker. No one is doubting his ability as in just a few days, he managed to win over $3 million for Durrrr, regarded by many as the top online player in the world, alone. Before bursting on the scene, never before had there been an online worth pot over $1 million. In the past 10 days, there have been 3 of them and Isildur1 has lost all 3. In the first 2 weeks of November, Isildur1 posted over $5 million in winnings. Over the next 10 days, that number shrunk down to $750K, and by the time you read this, may be either up to $3 million in the black, or descending deep into the red. To Islidur1, wins and losses, no matter how massive are a deterrent. Just 48 hours ago, railbirds actually witnessed him put $350K into the pot with an open-ended straight draw in a hand against Patrik Antonius and thus far seems unfazed by losing such hands. It is quite possible that just as quickly he arrived, he may just the same disappear again, taking the mystery along with him.